For I’m to be the Queen o’ the May, mother, I’m to be the Queen o’ the May. 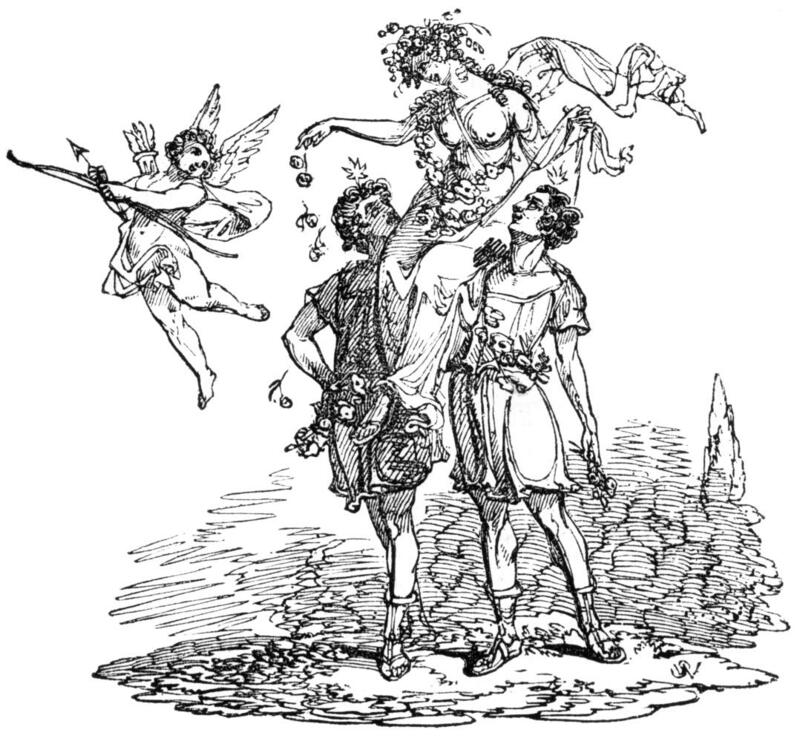 A blessed Beltaine to all! An illustration of a May Queen from William Hone’s “Hone’s Everyday Book” published in 1826. And this is fitting for in the Arthurian legends the Flower Bride is Guinevere, though she is usually abducted on May 1 and must be rescued. However, in Celtic lore, there are many ladies or goddesses, such as Creiddyled and Bloudewedd, who fit this role. Though Beltaine celebrates fertility, which of course requires both sexes, this day does seem to give a lot of attention to women. The Roman Catholic church even chose May to be Mary’s month, and many of their faithful celebrate May Day as a celebration of the mother of Jesus. Though I’m more interested in Flower Brides of Celtic myth, a statue of Mary at the local Catholic Church, Our Lady of Lourdes, fascinates me. 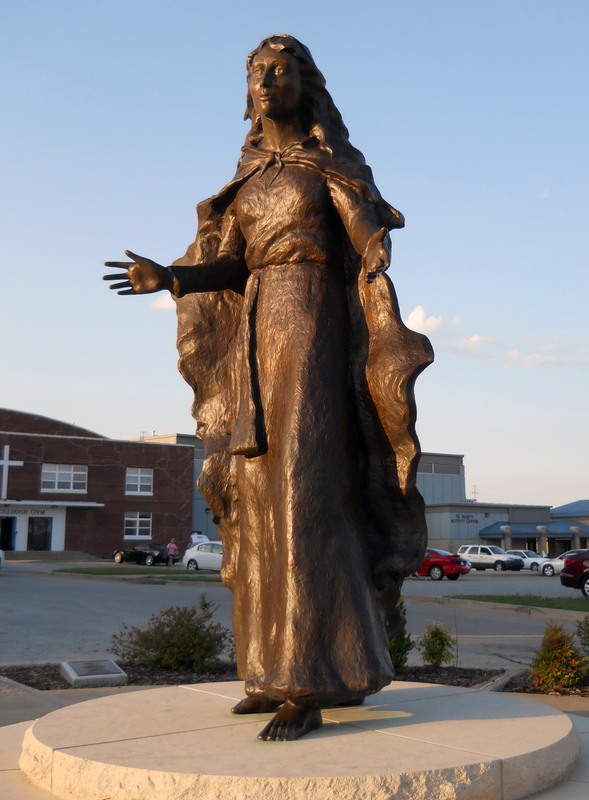 Different than most art that shows the demure mother with her head bowed and covered, “Our Lady of Pittsburg” by artist Linda Dabeau shows a Mary that is strong and forward looking – she looks as much like a goddess here as do many statues of Diana or Aphrodite. In fact, a good friend and I have often joked that we should go in the wee hours of Beltaine and dress the Mary statue with flower garlands. As yet, we haven’t done it – but you never know what the future holds! Those interested in more Celtic history and British folk traditions regarding this time can check out sources such as Alexei Kondratiev’s excellent The Apple Branch and Mike Nichols’ The Witches’ Sabbats as well as web sites such as Waverly Fitzgerald’s The School of the Seasons or today’s post on The Wild Hunt blog. As a child, learning about May Day flower baskets in school and then making some to give to the neighbors. The scent of honeysuckle and peonies. Several years ago, being part of a group of adults leading a group of children in dancing the May pole when only one adult actually knew how to do it. It was good tangled fun and I can’t wait to try it again! Waking early on a May morning to walk barefoot in the dew. Just this past weekend, seeing that someone had made a garland of old fashioned roses for my great niece on her seventh birthday. Some classics never go out of style! So what is your favorite part of the Beltaine season? Or the month of May?